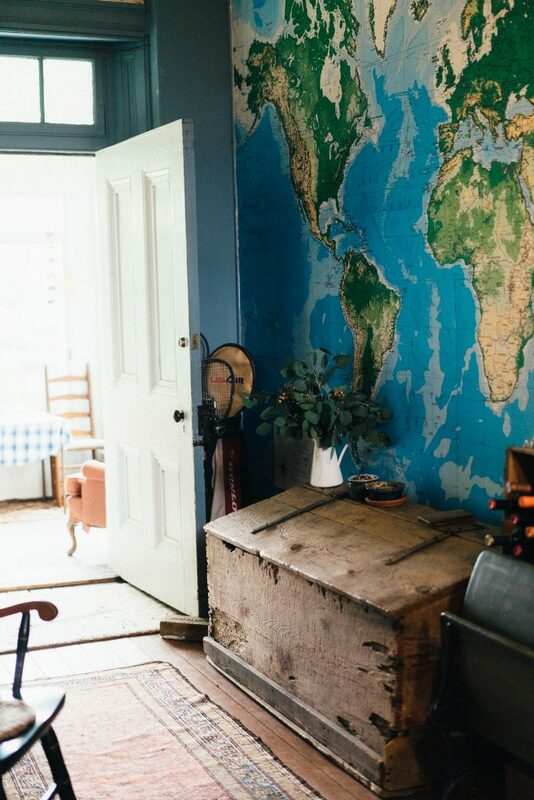 The large wall in our downstairs hallway was almost the exact size of the complete map. And although I pushed just a wee bit for hanging it in the dining room, it was definitely the perfect spot. Dan prepped the wall a few weeks before by repairing some cracks and painting the entire wall with a flat primer. I cannot express how happy this wall makes me. It’s such a fun statement in our downstairs hall. It’s great for geography lessons or pointing out where Emma will be in a few days on her trip to Rome. (*sniff*. More on that soon!) And most importantly, it’s like having a little piece of my family history, and a place dear to my heart, inside my home. What a beautiful gift to give your family. Love this (and the family history behind it) so much! Thank you so much, friend! xo. How cool! I have been wondering what the story was behind that wall. How very special. Thank you Beth! YES, ROME! Ack! She’s going on a pilgrimage–walking from Rome to Assisi. I’m hoping to do a post about it before the end of the week. Nervous, excited, anxious..ack! All of it. xox. I saw the first pic and recognized several of your cousins (?) AMcG, MMcG, & PMcG! 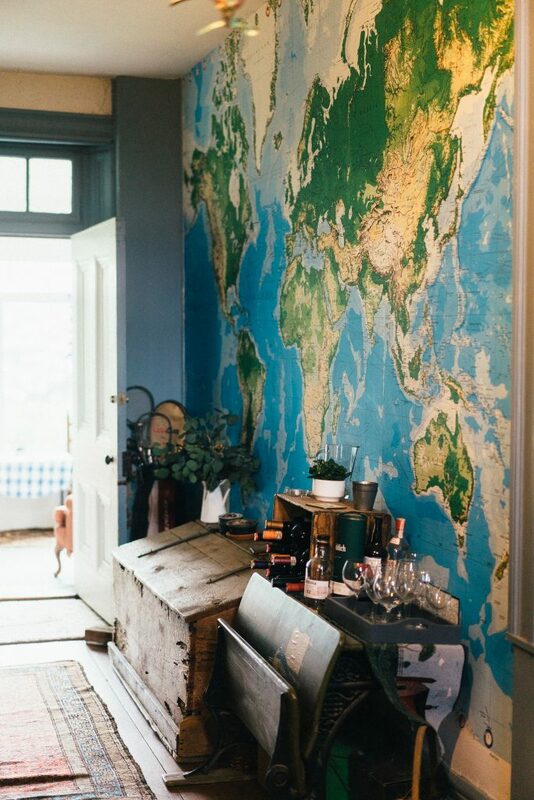 Your wall looks amazing! 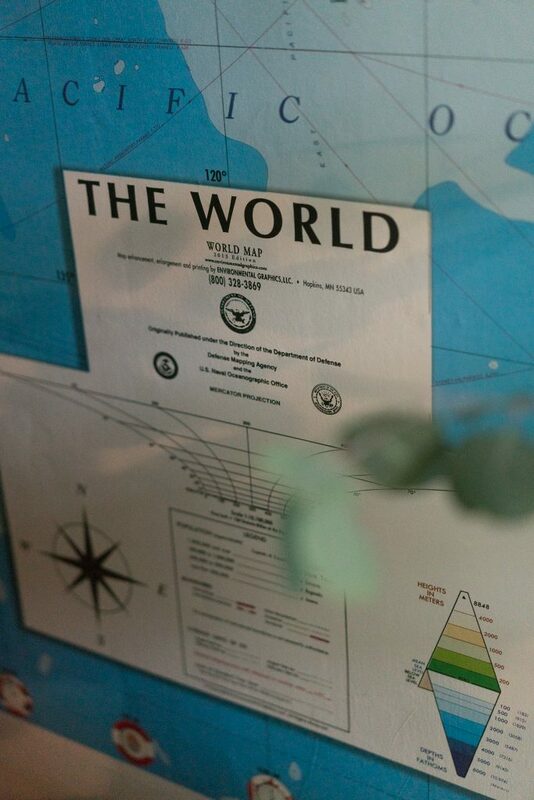 Great to have the right space for your map! You’re right! I’m sure they love me posting those pictures. hahah. Thank you so much, Sophie. It definitely was worth the wait to have it in just the right place. xo. What a special project!! I really love this idea and it looks great in your home! Thank you Rachel! It’s so fun to see this project finally be complete. xo. Amazing! This is like a homeschool momma’s dream! 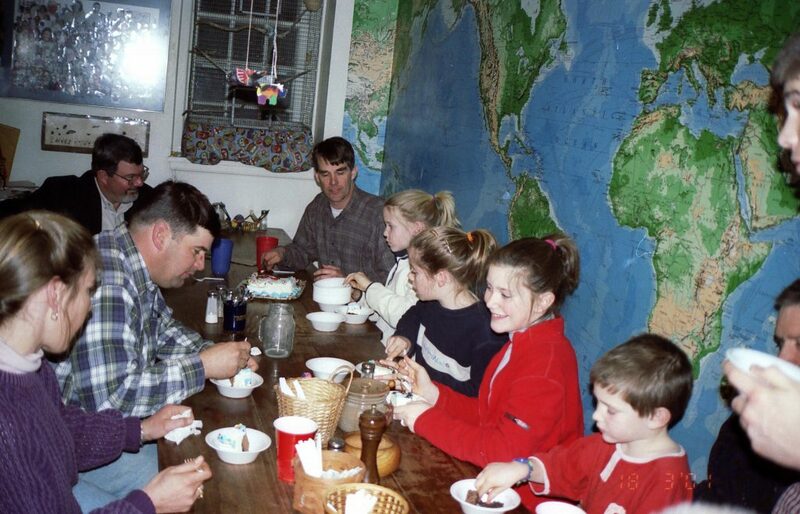 Back when we homeschooled (which now seems like ages ago!) 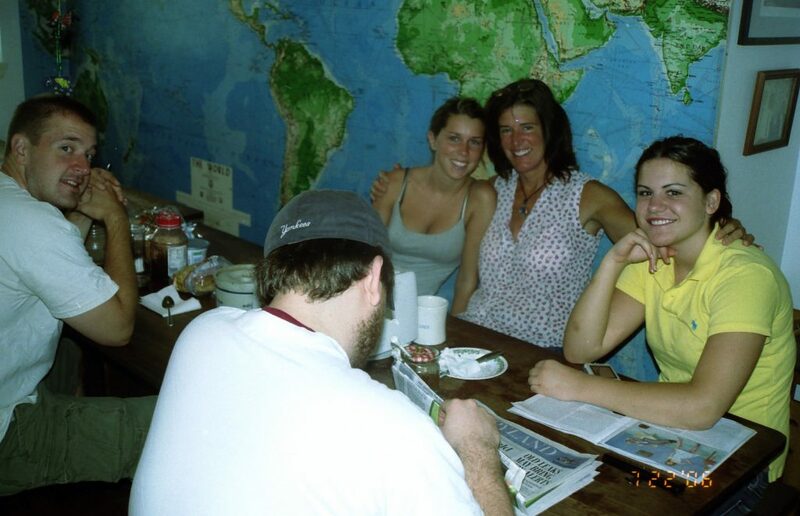 i had hung up a large world map on our dining room wall that included flags of the countries. it was a constant conversation starter during dinner time. 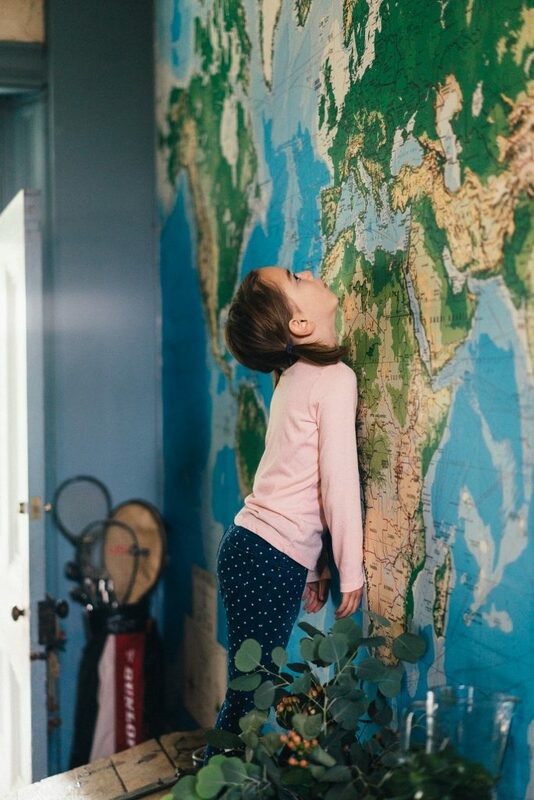 It eventually ripped and we took it down , but this has me thinking we might need a new bigger map 🙂 i also do love how you are able to connect your past memories with new ones in a such a special place. I love this! Such an awesome accent to your home. I love this! Looks like an epic mural wallpaper and I love how much meaning it has for your family. 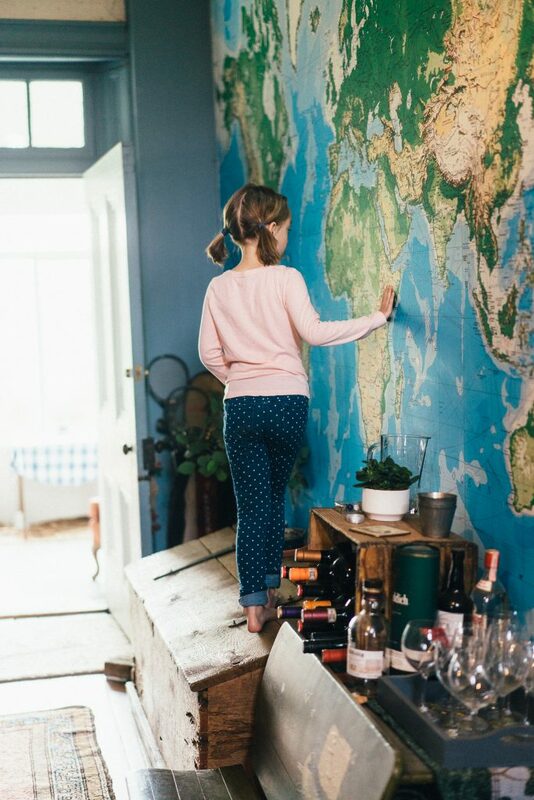 We have been wanting a map for a wall in our study, where did you buy yours?